The IT40 Show The One! MLB Countdown! Dave Russell your host for The IT40 show, brings you the rundown of the Top 3 Items in each of our 7 Top 40 categories. They are as Follows 1. Trending Videos. 2. Trending Music Videos. 3. Trending People, Places & Things. 4. IT40 News. 5. Trending Instagram Media. 6. As their share of baseball’s revenue pie continues to shrink, and methods to suppress their earnings proliferate, 22 emerging or established Major League Baseball stars waved something that looked like a white flag this spring. Free agency as they knew it already was broken before this group of nearly two dozen players opted for long-term security via contract extensions now, rather than dance with the game’s wounded golden goose. There’s no fighting City Hall: MLB players are stuck with this Collective Bargaining Agreement through 2021. So, cue the big tradeoff: Accepting nearly $1.7 billion in salary – while forfeiting 71 potential seasons of free agency. If freedom ain’t what it used to be, players are left to make the best of what’s still around. “The free agent process has changed,” says Washington Nationals ace Max Scherzer, who received a $210 million deal on the open market before the 2015 season. “Teams used to covet players, marquee players, and be aggressive at trying to bid on ‘em. While the extensions touched a diverse swath of players – from budding superstar Alex Bregman to elite 30-something pitchers like Jacob deGrom and Chris Sale, to potential stars like Eloy Jimenez who haven’t even had a major league at-bat – these deals are in many ways the legacy of two players who dominated the winter discourse. Sure, Bryce Harper and Manny Machado got paid – receiving deals of $330 million and $300 million, respectively. Yet the limited markets they encountered – with just three to five teams actively engaged – had a chilling effect. Enough to prompt the greatest player in the game – two-time AL MVP Mike Trout – to sign his own mega-deal: 10 additional years at a whopping $360 million, a record-setting and objectively massive pact, yet still probably not optimized for his worth. Trout called the limited market for Machado and Harper a “red flag” after signing his extension. After all, if those 26-year-old superstars could not incite a bidding war, what hope would mere mortals have on the open market? “You’re talking about three guys who are at the top of the game,” says Yankees reliever Zack Britton of Harper, Machado and Trout. “Having some insight (being former teammates with Machado), it blows my mind. You’d think every single team in baseball could use them and should want them on their team. Trout, 10 years, $360 million, Angels: Fold it into the final two years of his six-year, $144.5 million contract and the Greatest Of His Time gets a cool $426.5 million. Might have done better two years from now, but grossing a half-billion dollars without reaching free agency is astounding, and appropriate for a player his caliber. Chris Sale, five years, $145 million, Red Sox: Deals can be as much about personalities as they are dollars. Sale opted for security once before – a $59 million contract that bought out three years of free agency – and he does so again, only much larger. Paul Goldschmidt, five years, $130 million, Cardinals: He sheds perhaps the game’s most player-unfriendly contract – six years, $44 million for at least four top-five MVP finishes – and does about as well as he might have expected after next winter. He outkicked his former Diamondbacks teammate, J.D. Martinez, by $20 million despite being two years older by the time he’d have hit the market. Bregman, five years, $100 million, Astros: “Betting on yourself” used to mean going year-to-year via arbitration. For Bregman – who may out-earn the $43 million guarantee through three arbitration years – the big bet is believing he’ll still cash in as a 30-year-old free agent while pocketing $28.5 million in each of what would have been his first two years of freedom. 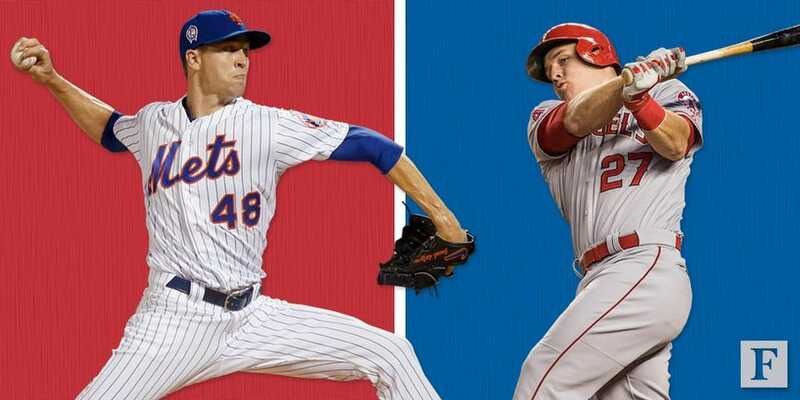 DeGrom, five years, $137.5 million, Mets: Keep in mind that deGrom was still two seasons away from free agency, so falling short of other extensions (like Stephen Strasburg’s $175 million deal) is understandable. Given that his free agency would fall during this CBA and that he’s already one Tommy John surgery in, a prudent grab. Aaron Nola, four years, $45 million, Phillies, and Luis Severino, four years, $40 million, Yankees: The two deals that provoke a two-part reaction from their brethren. A sigh, because these aces were halfway to massive free agent paydays. And then a nod of understanding – because it’s hard to knock a pitcher for taking a life-changing guarantee. Blake Snell, five years, $50 million, Rays: “I don’t see the point in signing a deal,” Snell told USA TODAY Sports in February. “I’d rather just try to max everything else out in arb, believe in myself, push myself.” So, what changed? A significant guarantee that only delays his free agency by one year. Kyle Hendricks, four years, $55.5 million, Cubs, and Miles Mikolas, four years, $68 million, Cardinals: Lacking overwhelming velocity in Hendricks’ case and dominant strikeout numbers in Mikolas’, neither were going to be a nine-figure free agent. So team and player carved out a fair deal to continue a mutually beneficial relationship. What a concept! Eloy Jimenez, eight years, $62 million, White Sox: This figure assumes Jimenez is indeed a fantastic player and the White Sox exercise two option years. Certainly a nice guarantee, but the deal carries with it the ugly underside of service-time manipulation. Jimenez was ticketed for the minors – and a seven-year slog to free agency – before agreeing to this deal. Brandon Lowe, eight years, $46 million, Rays: Like Jimenez, we’ll assume the Rays pick up two option years on a contract that otherwise guarantees him $24 million. The deal is nearly identical to that signed a year ago by Phillies infielder Scott Kingery, who received $24 million guaranteed and up to $65 million for three club options. Not a bad heap of cash for players who likely won’t become superstars. This is the Yankees OFFICIAL scoreboard show open for 2019. Subscribe to our YouTube channel for the best, exclusive content: http://youtube.com/yankees and check out http://yankees.com/video for our full archive of videos. Join the Yankees Universe! The annals of baseball are chock full of terrible first pitches, but we didn’t get a chance for that at Yankee Stadium’s Opening Day. Mariano Rivera threw out the first pitch of the season for the Yankees, and the new Hall of Famer kept it safe, but it was right down the pipe. Rivera, the first ever unanimous Hall of Famer, looked confident going out to the mound, and he made it look as easy as he did during his 19-year MLB career. Mariano Rivera threw out the ceremonial first pitch on #OpeningDay. Rivera, of course, has the most saves in MLB history with 652. He had a 2.21 career ERA with the Yankees, and his ERA+ of 205 is also the best ever. Rivera, who retired in 2013, was a 13-time All Star and an ALCS and World Series MVP to go along with his five World Series titles. Arguably the only disappointing things about this opening pitch were that it wasn’t one of his patented cutters and “Enter Sandman” didn’t ring throughout Yankee Stadium when he came out. But we’ll let it slide for a guy who’s been out of baseball for five years and will be 50 in November. Thousands of passengers left stranded after Wow Air closes shop; Trace Gallagher reports from Los Angeles. #ShepSmith #FoxNews FOX News operates the FOX News Channel (FNC), FOX Business Network (FBN), FOX News Radio, FOX News Headlines 24/7, FOXNews.com and the direct-to-consumer streaming service, FOX Nation. Alice Manos has been looking forward to her Paris vacation for months. The 23-year-old Washington, D.C., woman, who was raised in France, bought a $425 round-trip ticket on budget Icelandic carrier WOW Air to see her family for nine days. She was due to leave Baltimore on Friday night. WOW Air’s collapse on Thursday, after several failed attempts to line up investors, has Manos scrambling to find alternative flights. She already has the time off from the nonprofit where she handles marketing and communications. Manos tried Icelandair, which is touting discounted fares for stranded WOW Air passengers on its website. The cheapest fare they offered after 50 minutes on the phone: $1,015 round trip. The earliest she could get out was April 1. And she had to get to Boston for the flight. “It’s basically false promotion,” she said. Manos said she is searching other airlines for affordable tickets and that her family is seeing if they can cobble together enough frequent flier miles to get her there. Travelers stranded by WOW or holding tickets for future flights have limited options because last-minute flights are expensive, and flights to and from Europe on other carriers were never as cheap as WOW’s bargain flights even in advance. WOW’s flights included a stop at its home base in Iceland. The airline with the purple planes was famous for $99 one-way tickets between the United States and Iceland and was touting those deals from Boston and Newark as recently as Wednesday. The airline has been shrinking recently due to its financial woes and had cut flights from many U.S. cities. It was down to four: Boston, Detroit, Newark and Baltimore. Passengers can check other airlines to see if they are offering discounted fares for stranded WOW passengers, though travelers will still be out more money, in some cases a lot. In addition to Icelandair, United Airlines, Norwegian Air and Aer Lingus are among the carriers offering discounted fares for affected WOW customers. 1. Don’t show up at the airport hoping to magically find a replacement flight. There will be no WOW Air customer service desk to help you. The airline has gone out of business. A notice on its website offers passengers little help. 2. Call the credit card company you used to book your ticket immediately to see if it offers any protections in these cases. In the case of recently purchased tickets, you might be able to stop payment. 3. If you booked a ticket through a travel agency or partner airline, especially if it’s a vacation package, check your eligibility for a refund, advises AirHelp, which helps airline passengers claim airline compensation. Travel booking app Hopper is taking the unusual, and generous, steps of refunding the ticket price for its customers booked on upcoming WOW flights and covering the cost of return flights for WOW passengers stranded when the airline suddenly went out of business Thursday. Spokeswoman Liana Corwin said the app is reaching out to the estimated 1,000 customers affected by WOW’s shutdown. 4. If you bought travel insurance, now’s the time to read the fine print. It might cover alternative flights, hotel accommodations and other expenses for stranded passengers. The Icelandic Airport Authority notes, though, that such compensation is often limited. Everybody’s In. Are you? 2019 Chicago Cubs Hype Video! Baseball is finally here! Relax in the hot bleachers, and watch the Cubs climb their way back to their 4th NLCS in 5 years, and possibly another World Series Championship. Go Cubs Go! All rights to MLB. I own none of the shown footage. SportsMoneyI live and work in Chicago, where I’ve covered sports since 1997. Time shares and platoons have been the order of the day for the Cubs in the Theo Epstein era but they need players to raise their profiles to get back to the World Series. Javier Baez emerged last year but they need others to step forward to help them reassert their dominance in the deep NL Central. Epstein says Joe Maddon and his team are heading into a season that will be “a reckoning,’’ and it will be a long summer if they take a step backward. For Forbes‘ full MLB preview, featuring analysis on all 30 teams, click here. Anthony Rizzo, like Baez and Kris Bryant, is a complete player. He’s also a leader in the clubhouse and among the most consistent run-producers in the game. His OPS has dropped two years in a row, however, thanks largely to a slow start last season, when back issues impacted him. He was a beast in the summer (.970 second-half OPS) but needs a quicker start this time around. Kyle Hendricks won’t be a bargain much longer, as he just agreed to a four-year, $55.5-million extension. but he’s a good bet to earn his $7.4 million this season. He’s been underrated his entire career because he doesn’t throw as hard as others. He went to Dartmouth because Stanford wouldn’t take him. But he is 52-33 with a 3.07 ERA, the fifth-lowest mark of any active pitcher with at least 100 starts, and has already started 10 postseason games for the Cubs, including Game Seven of the 2016 World Series. He fits just fine alongside Jon Lester, Yu Darvish and Cole Hamels, who all earn at least $20 million. A slugger with a knack for making electrifying plays in the field, Baez is working his way toward a huge contract. He’s still three seasons away from free agency — like Bryant and Rizzo — and is earning $5.2 million after his being a first-time arbitration-eligible player. Baez will be tested after a 34-homer, 111-RBI season in which he walked only 29 times. He loves to play shortstop but the Cubs have a significantly higher winning percentage when he plays second and Addison Russell is at short. Russell starts the year serving his suspension for domestic violence but returns in May, which probably means Baez slides to the other side of the bag. Having invested $185 million in Darvish, Tyler Chatwood and Brandon Morrow a year earlier and then exercised a $20-million option to keep mid-season acquisition Hamels, Epstein didn’t have the budget to spend heavily. Brad Brach will help improve an unsettled bullpen if he picks up where he left off in Atlanta (1.52 ERA i 27 appearances after a July 30 trade). He received only a $3.1 million guarantee for one season and an option. Pedro Strop, a setup man for almost all of his 505 career appearances, has more blown saves (30) than saves (22). But the charismatic 33-year-old is being asked to work the ninth inning as Morrow remains unavailable after elbow surgery last November. The Cubs are confident enough in him they passed on pursuing free agent Craig Kimbrel, who remains available. Strop throws 96 and has a wicked slider that yielded a 29-percent whiff rate and a .121 batting average last season. He will provide a huge lift if he can reliably lock down the leads that are turned over to him. Runner-up mention in this category goes to catcher Willson Contreras and Bryant, who both are looking to bounce back from disappointing second halves. Bryant says his injured left shoulder feels fine but didn’t do much in spring training (.200 with two home runs in 40 at-bats). It’s the most wonderful time of the year for baseball fans. Opening Day at Dodger Stadium and big league ballparks across the country. Fans were out hours before the Dodgers’ first pitch against the Arizona Diamondbacks. Dave Lopez reports. The Dodgers’ season got off to a memorable start Thursday. Behind an eight-home run barrage, the Dodgers opened the season with a 12-5 victory over the Arizona Diamondbacks in front an ecstatic Dodger Stadium crowd. Check out veteran writer Mike DiGiovanna’s inning-by-inning recap of the game below. The Dodgers arrived at Chavez Ravine for opening day understanding that their goal of a championship, already challenging in a vacuum, is a higher summit to climb coming off two World Series disappointments. But they assert they are talented and deep enough to run the marathon again and, for once, to finish on top. For weeks, they have maneuvered with a quiet confidence in preparation for the slog. On Thursday, they offered a glimpse of their potential. The Dodgers’ pursuit of a seventh straight NL West title, third consecutive NL pennant, and first championship in over three decades began with a booming 12-5 victory over the Arizona Diamondbacks at Dodger Stadium. The offense produced with two outs to ignite the rout and slugged eight home runs to finish it off. Joc Pederson pounded two home runs and a double. Enrique Hernandez also hit two homers, Diamondbacks ace Zack Greinke was chased after 3 ⅔ innings. The eight home runs tied a franchise record set in May 2002. No team has ever hit more on opening day. The Dodgers are making history on their way to an opening-day blowout of the Arizona Diamondbacks. Max Muncy, Cody Bellinger and Enrique Hernandez each hit solo home runs off reliever Matt Koch in the seventh inning, giving the Dodgers a 12-2 lead and an opening-day record eight homers in the game. The power display also tied a Dodgers franchise record for homers in a game, set on May 23, 2002, the game in which when former Dodgers right fielder Shawn Green hit four homers and had 19 total bases. Muncy’s shot went to right field, Bellinger’s went to center, and Hernandez’s went to right-center, his low line drive giving him the fourth multi-homer game of his career. The eight homers allowed were a franchise-high for the Diamondbacks. Joc Pederson, the subject of heavy trade speculation but no deal last winter, has been the Dodgers’ most valuable asset on opening day. The left fielder and leadoff batter hit his second home run of the day, lining a two-run shot deep into the right-field pavilion—the ball traveled 417 feet according to Statcast—to give the Dodgers a 9-1 lead over the Diamondbacks through six innings. Pederson also doubled and scored in the first inning and hit a two-run homer to center in the second, highlighting an afternoon on which the Dodgers hit a franchise-record five homers on opening day. Christian Walker led off the seventh inning with a homer to center field off Dodgers reliever Yimi Garcia to pull Arizona to within 9-2. Dodgers starter Hyun-Jin Ryu went six innings, allowing one run and four hits, striking out eight and walking none to put himself in line for the win. Dodgers starter Hyun-Jin Ryu’s clean sheet was spoiled in the sixth inning when Adam Jones drove a first-pitch curve from the left-hander over the left-field wall to pull the Diamondbacks to within 7-1 of the Dodgers. Eduardo Escobar followed with a double down in the line in left, but Ryu got Wilmer Flores to pop out to shortstop Corey Seager, who made a nice catch after a long run into foul territory, and David Peralta to pop out to first to end the inning. The Dodgers allowed slugging catcher Yasmani Grandal to leave as a free agent last winter believing Austin Barnes would bounce back from a brutal 2018 season in which he hit .205 with a .619 on-base-plus-slugging percentage, four homers and 14 RBIs in 100 games. Barnes, who will share catching duties with Russell Martin, is off to a good start, following his second-inning single up the middle with a solo homer to left-center field in the fourth inning that gave the Dodgers a 6-0 lead over the Diamondbacks. Cody Bellinger led off the fourth with a single to center, and Enrique Hernandez followed with a two-run homer to left, which came on a 72-mph hanging curve from Arizona starter Zack Greinke and gave the Dodgers a 5-0 lead. Barnes, whose first Dodger Stadium homer last season came in September, drove an 88-mph changeup over the wall in left-center for a 6-0 lead. Two outs later, Corey Seager, the shortstop who missed most of 2018 because of elbow and hip injuries, drove a solo homer half-way up the pavilion in right-center field to give the Dodgers a 7-0 lead and knock Greinke out of the game. The former Dodger was booed as he walked off the field. According to Inside Edge, it marked only the fifth time in Greinke’s career that he has allowed four or more homers in a game. This was Greinke’s 415th career start. With the one-touchdown lead, stadium organist Dieter Ruehle fittingly played the old theme from ABC’s Monday Night Football while Justin Turner was batting. Dodgers starter Hyun-Jin Ryu cruised through four innings, allowing one hit — Eduardo Escobar’s infield single in the first — and striking out six. Only one Diamondbacks batter has hit a ball out of the infield.